Bled is a town in the north west of Slovenia, being located on the beautiful Lake Bled, at the foot of the Karawanks mountains and north of the densely forested Pokjuka and Jelovica plateaus. The region has been a settlement since Mesolithic times, but then in 788 it was conquered by Frankish forces and came under Bavarian rule. It became under ownership of the German King Henry ll, who donated it to the Bishops of Brixen. The Bishops did not visit the region much so let local knights rule over the land. By the middle of the 16th century the bishops decided to lease the land and then by the 18th century appointed governors to manage it. At first, they were only chosen from aristocratic families, but eventually non-nobles were picked too. Despite the region growing in size and population, it remained prosperous and still known for being popular with the wealthy and upper-classes. 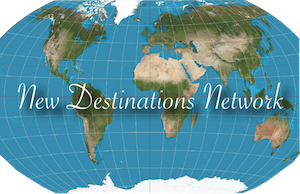 Now, tourists come from all walks of life, who enjoy day trips, weekend breaks or holidays in this mystical looking destination. The whole region has spectacular views and scenery, with mountains and luscious countryside surrounding it and with the beautiful lake at its heart. In the summer, Lake Bled is popular for swimming and boat trips, as the temperature reaches 25 degrees centigrade and then in the winter, as it freezes over, it is popular for ice skating. The lake is over 2 kilometers long and 1 kilometer wide at places and is used for nearly all the Promotion and Tourism images for the town. One of the popular trips taken by visitors is in a Pletna Boat around the lake and to Bled Island located in it. The origins of these boats date back to 1590 and are hand crafted wooden flat-bottomed vessels with colourful awnings. Pletna derives from the German word ”plateboot’, meaning flat bottomed. The oarsmen or ‘ Pletnarstvo’ as they are known are highly skilled and are from just a few local families, who have passed down their skills through their generations. Another way to see the lake and the surrounding countryside is to go by Fijakers, which are open topped wooden horse drawn carriage. Similar to the boats, the drivers are highly skilled and have inherited their skills. The drivers wear traditional customs, which they are very proud of and make the journey even more enjoyable. Another way to see the town and lake, would be to use the Tourist Train (road vehicle that looks like a train), which is popular with children. One of the main features of the lake is Bled Island and the Church on it, which creates spectacular images whether in the summer with the blue skies, winter with the snow and throughout the year with the early morning mist. There was an original ancient Slavic church there, known as the Temple of Goddess Ziva, but the present Baroque style church has stood there since the 17th century, after an earthquake destroyed the Gothic style one that preceded it. The alter has ornate gold-plated carvings and the center piece has a picture of the Virgin Mary, Henry ll and his wife Kunigunda. The side alters were concreted to At Sebastian, St Magdalena and St Anna. Another feature is the Bell Tower, which is 54 meters high and has three bells. Overall, it is a peaceful and interesting place to visit, with its monumental staircase, walls and stunning 360 degree views of the region. Dominating the skyline over the lake is Bled Castle, which is perched on a rock 130 meters above and overlooking it. It is the oldest castle in Slovenia, dating back to 1011, when it was first written about, when German King Henry ll conferred Bled to the Brixen Bishops. The castle is arranged around an upper and lower courtyard, connected by a staircase. It has a chapel with ornate frescos and alter with paintings of King Henry and his wife. The walls are Romanesque and yet a lot of the buildings within it are in a Renaissance style. The castle contains a multitude of buildings including a museum, restaurant, printing room, wine cellar, knight’s hall, forge and well. All of which can be seen and explained during one of the tours of this magnificent venue. It is used for a variety of events and occasions, especially weddings. It has become one of the best wedding destinations in Europe, imagine being married in a genuinely historically renown castle, overlooking a beautiful lake, with the backdrop of stunning mountains and clear blue sky. Every castle needs a legend and this one involves Poliksena, a grieving widow of the administer Hartman Kreigh, who disappeared over night (probably killed by the local farmers, as he had been a cruel and oppressive man). Poliksena gathered all the gold and silver she had to buy a bell to honour her husband, but whilst being transported across the lake and due to its weight, the boat and bell sank. It is said that from time to time, the bell can be heard ringing from the murky depths of the lake. Poliksena, lived the rest of her life in a convent, but the Pope at the time heard of the story, so had a new bell made and it was sent to the Island. One of the attractions for visitors to Bled are the walks and hiking routes through the nearby, paths, hills and mountains. Straza Hill is an excellent example of one of these walks, as the trail provides great views and is lined with pine, oak, lime and birch trees. Osojnica is one of the favorite viewpoints in the region, being a 45-minute walk along steep forest paths, but well worth it when reaching the resulting vantage point. For the non-walkers, there is a chair lift, so either way the views there can be appreciated by all. Rikli Fitness Trial is for the more adventurous, as it runs through meadows and woods and then reaches the Adventure Park, which has over 60 climbing elements. Bled town is a beautiful picturesque place with hotels, shops, cafes, bars, restaurants, seating areas and viewing points, but with an overwhelming feeling of calm and beauty. There are a variety of types of accommodation available in the town, therefore using the Sportina Turizem is recommended, as they have Hotel’s, Villa, Glamping (Glamour Camping) and Hostel, so visitors can pick the one that suits their needs best. Another attraction to the region are the amount of Thermal Springs and Spa’s, which provide not only relaxation, but treatments for many illnesses and conditions. Bled and the whole of Slovenia has an amazing array of delightfully tasting food, from beetroot salad to melt in the mouth chicken, but it defiantly specialises in cakes and pastries. Bled cream cakes are renown and are now a symbol of the town. Over the last 60 years, it has been estimated that over 12 million cream cakes have been sold in the town. Made from golden crispy crust, butter dough, vanilla cream, whipped cream topping and dusting of icing sugar, they are a must try! Only 4 kilometers from Bled in Gorje, which is the location of Vingar Gorge, which carves it way through sheer rock, below the Bort and Hom Hills. Visitors to this location get to see the Bohinj single-arch stone railway bridge, the dam which powers the Vintgar Hydroelectric Plant, waterfalls, pools and rapids. Due to its own micro-climate, the vegetation is unique and not seen anywhere else in Slovenia. It has a long wooden terraced pathway, which is built onto the side of the rock, just above the water and weaves through the vegetation, so makes the visit a real immersing experience. There are other things to consider in and around the region, the most popular being; Triglav National Park, Bled Adventure Park, Tobogganing Ride, Ice Hall, Walking, Hiking and Biking Tours and much more. 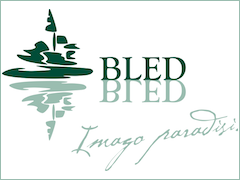 Bled is always trying to grow in popularity in all aspects and its connections with Great Britain has always been a strong relationship. Therefore, Bled Tourist Board, Slovenian Tourist Board for UK and Ireland, plus British Slovenian Chamber of Commerce are always keen to hear from any individual or organisation that wants to know more about this great country. Bled is sometimes described as a fairytale destination or a fantasy film set. Therefore, mix Cinderella and The Sound of Music and that starts to set the scene of a visit to this charming town. A visit to Bled is a magical, charming and breath-taking experience, which no matter what pictures people see or words they read, can be truly captured, without actually being there. Whilst in Slovenia there are many other destinations worth visiting, such as the beautiful capital city of Ljubljana and uniquely interesting region and town of Kocevje.